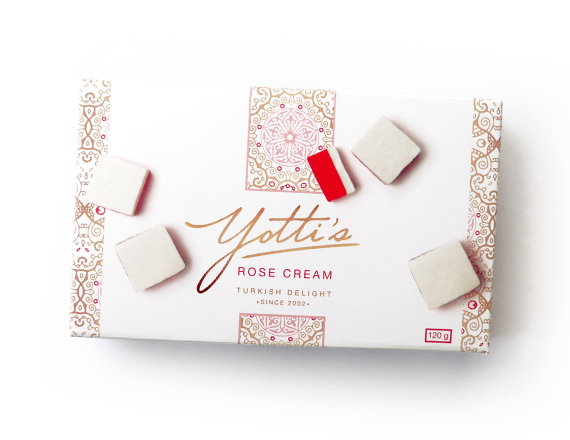 The traditional Rose Turkish Delight has been given a delicate and creamy twist. Water, Sugar, Cornstarch, Glucose, Soapwort Extract, Citric Acid, Flavouring (2%) (Rose Essence & Butter Vanilla Essence), Rose Oil (1%), Colourant (E122, E110, E171). May contain tree nuts & peanuts.